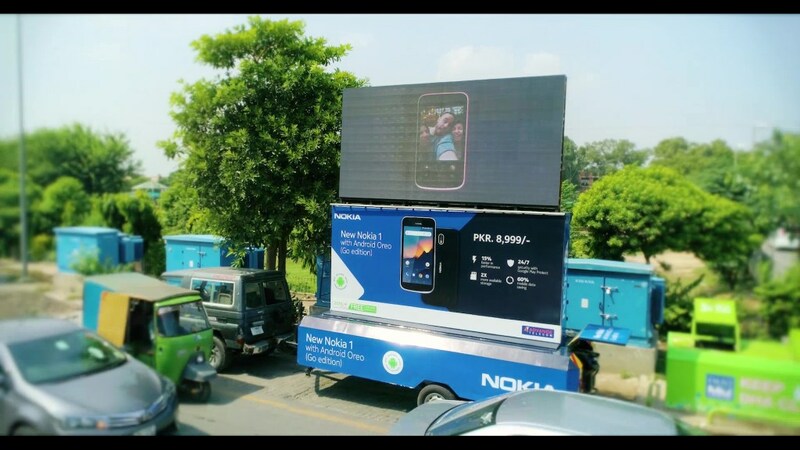 Nokia Mobile started an interesting promo campaign in Pakistan for the Android Go handset Nokia 1. 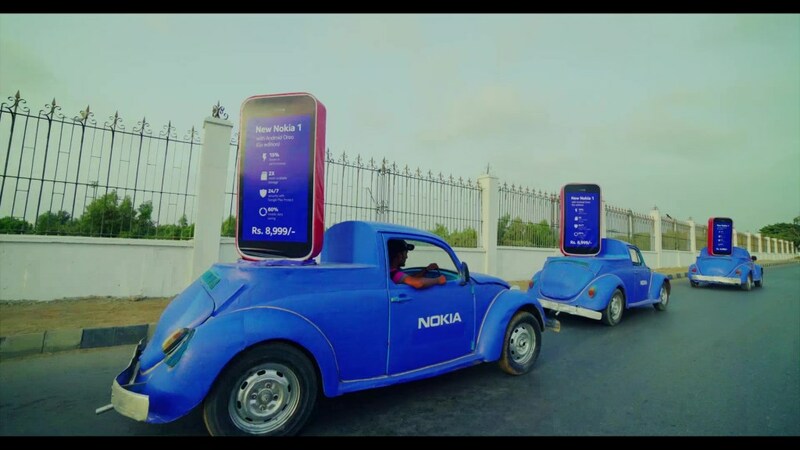 Nokia Mobile opted for a “dynamic” approach, putting big Nokia 1 models on cars, bikes and moving billboards on trucks. Some pictures of the new campaign follow down below. 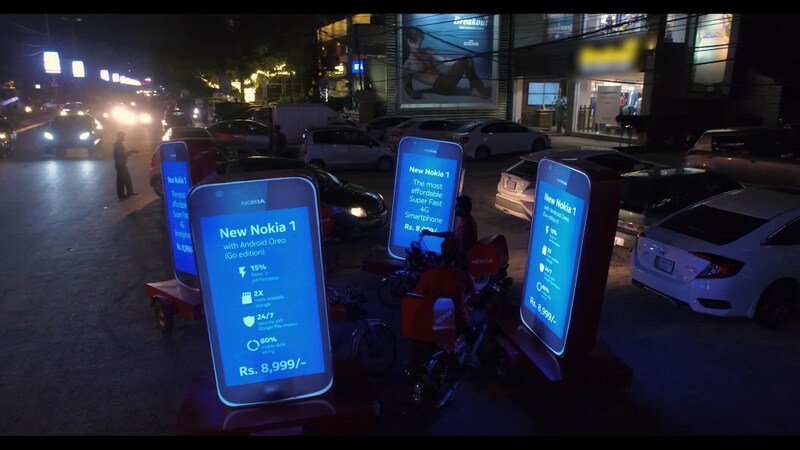 The promotion was done in 8 key cities in Pakistan on 150 “touch points”. The video posted by trending.pk (by YouTube user: entronews) shows that such kind of marketing generated “millions of views” and sales increase of 30%. Such wording probably suggests that an external marketing agency did the promo for HMD, which is normal, because HMD cooperates with different ad agencies that created great ads thus far. 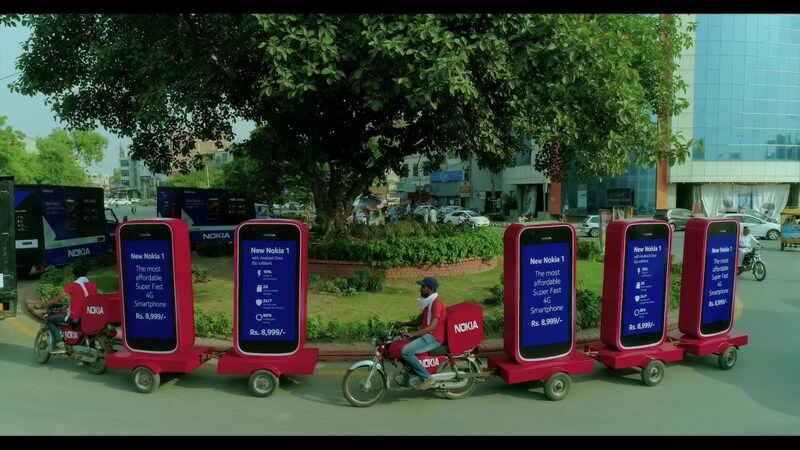 Nokia 1 is available for 8,999PKR in Pakistan, which is just 59 euros. As someone who reviewed the Nokia 1 and having a family member using the Nokia 1, I can say that the phone is a solid value for money (for about €70 top) for very light users. My family member, for example, uses the 1 for Chrome, Whatsapp and calls and text, with an average of 2-3 hours screen on time per day. It’s not for everyone, and I would say it mainly targets the feature phone users and can serve great as an intro device with Internet capabilities. The camera is bad and the screen is small, so if that two features are high on your list, something else might be a better choice. Anyways, it’s nice to see creative advertising and hopefully we will see more of that in other parts of the world as well.